Are you moving to another state? Need your car shipped to your new home? There are many car transport companies. But, GAT is one of the best! We can provide this service for you with a wide range of options and the best prices. And, we ship all different types of vehicles throughout all 50 states, even including Alaska and Hawaii. No matter where you are going, GAT can help get your vehicle there. We are one of the best car transport companies in the industry. Check out more information on our car shipping services here on our website! To learn more about our auto shipping services and prices, fill out our quotes form and check out the video below. 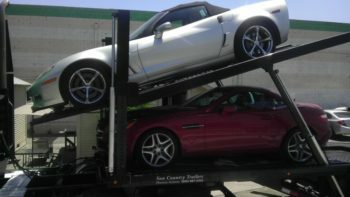 We look forward to working with you on your car transport!